Dad will turn 90 tomorrow. As I reflect on a life well-lived, I can honestly say that the way to live to the ripe old age of 90 boils down to these personality attributes. This is what my dad has taught me and more importantly has reinforced for me in the last year when I have been his caregiver. Most things pass, so obsessing on something will only cause unnecessary angst. Be content with where you are in life and look for the positive things about your current situation. Even though you are frustrated with your declining abilities, there is always a way to find humor even in frustration. Where he is living, at Daylesford Crossing, is generally a very positive environment. The staff has picked up on this positivity and reflects it back to him regularly. As a result, despite his declining abilities, he remains happy and positive (#3 on the list). Although his cognitive state continues to decline and he has good days and bad days, occasionally he reaches out to me and instigates a hug, or says “I love you” or thanks me. It is on those rare occasions that I know everything I am doing for him has been worthwhile (#4 on the list). And finally, my dad’s mantra throughout his life has always been “This, too, shall pass” which has meant that he really isn’t a worrier and he doesn’t get caught up in something unpleasant that is happening in the moment because he knows it is temporary. I think this has meant a much less stressful life overall. (#1 and #2 on the list). I have been caring for my dad for about 4 years, 3 of which were remotely and the last one locally. Like everyone dealing with caring for a parent or other loved one, there is no advance cramming you can do to prepare for this job – you wake up one day and suddenly you need to be an expert in all things elder-care. It is the ONLY job that doesn’t come with a manual and there are few resources to help you other than learning on the job. I thought it might be helpful to share some of the techniques I have developed and learned over this time period. These work with my dad, and I hope that they might be useful to you. Unfortunately, there are over 70 different types of dementias so your loved one’s situation may be different from my fathers, but all dementias have many crossovers, so it’s worth trying some of these techniques. You have nothing to lose. Losing the ability to “work” the remote control on the TV; or conversely, saying that his/her TV is broken. Again. Difficulty doing tasks that were, before, second nature. In my case, my dad could send emails, was on facebook and was pretty “with it” for a guy in his mid-80s. The day I spent one full hour with him on the phone trying to instruct him how to open a browser window, should have been more than a red flag; it should have been a rocket blast. But it wasn’t. Because I didn’t know anything about dementia. I thought it was simply, short-term memory impairment. It is so much more. Impaired judgment. One day, my dad decided to reheat a slice of leftover pizza. So he put the tin-foil-wrapped slice right on top of the burner and turned the burner on. Can you spell F-I-R-E? Again, didn’t register as a red flag. Word finding difficulties. This comes with aging for all of us. It doesn’t necessarily mean dementia, but it is a possible pre-curser. So if you see signs of this, be even MORE tuned in for other signs. Forgetting doctor appointments or to take medicine. My dad even forgot that he brought his walker to lunch. After lunch, he went crazy looking for it in his room because he had literally no recollection of it every leaving his apartment. Always tell them what you are about to do or where you are going (if you move them). Their world is very scary right now. They want advance notice of any changes. The fewer changes you can make, the more comfortable they are. If you never take them from the facility where they are living, they won’t care, as long as their routine isn’t disrupted. For them, routine means safety. If you are a healthcare provider and want to take their blood pressure or re-bandage a wound, make sure to tell them what you are going to do and why and then, most importantly, ASK THEIR PERMISSION TO DO SO. They have so little control left; they want to retain control over their body. Try to focus your activities on things they can still do. Music is a wonderful activity as it is retained in a part of the brain that is unaffected by Dementia. Dance together. Do karaoke. Play name that tune. Play catch with a beach ball or a football, even from a seated position. Hand eye coordination seems to stay in place and it can be fun! I will continue with more techniques in future blog posts, so check back. And if you haven’t subscribed, please sign up so you’ll get the next blog post delivered to your email. And finally, if you have any techniques that have worked for you, PLEASE SHARE THEM WITH ME! I am always learning on this job. If you are a caregiver providing support and care for a parent or loved one, then this blog post will confirm what you are already feeling. I want you to know that you are not alone. If you are a sibling or a relative who is across the country and only checking in from time to time on your parent or loved one, let me give you an inside look at differences in your experiences to those of the direct caregiver. As you know, I am the primary caregiver for my dad, who has Parkinsons’ and Dementia. Every day that I visit him, and it is EVERY day, I am mourning him. From the time I moved him near me after he fell last summer and fractured his pelvis and, I believe, hit his head, he effectively passed away for me. The father whom I spend time with each day, is not the father I knew. Although from time to time he pops back in to show himself, for the most part, we don’t have many meaningful exchanges. His language is completely compromised and I spent most of my time being his advocate and making sure he is getting proper and appropriate care. And I make sure to show him daily that I love him and will protect him. That said, I mourn for my dad every single day. It is an ongoing, dragged out sense of loss. Very different than one feels typically upon the passing of a loved one where the grief is overwhelming and complete. For me, it is a daily experience. When the time comes that he does pass away, for me, it will be a celebration. It will be a sense of relief. I know that no one, unless you have experienced what it is like to care for someone – on the front lines – you may not understand this. But it is real. Very real. Improv? Yes. Now that I am extremely experienced in the world of Dementia, I have observed how important the skill of improv is to my interactions with my dad. A bit of background first…my dad not only has Parkinson’s Dementia but also has Aphasia, which is simply that the language center of his brain has been impacted. He can no longer communicate in a way that makes any sense. For instance, this sentence may come out of his mouth “It was really interesting today. The thistle came out of a grain and was car.” Or, “did you see the biddle up the nickel?” Most of the time, I have no idea what he is trying to say to me. But he clearly thinks he is communicating something and would like a response to either keep the conversation going or to answer his question. The technique I have used is very much improv at its core, which is based on the concept of “Yes, and?” Most of the time I answer with “really! Tell me more!” And that gets him to continue talking. I feel as if I can get him to continue to talk to me that is a win. He feels as if he is expressing himself and occasionally I can decipher what he actually means, through context, and we can have a meaningful exchange. Some days are better than others. In fact, one day recently, it was as if he had an awakening of sorts. He was making connections he hadn’t in awhile, remembering facts from the previous day, which is next to impossible for him typically and was able to talk on the phone with relatives fairly easily, again not typical. It was short lived, however, as it usually is, and the next day I was back to using my improv skills. It has been awhile. Lots has happened. I haven’t posted in awhile. There is a reason. 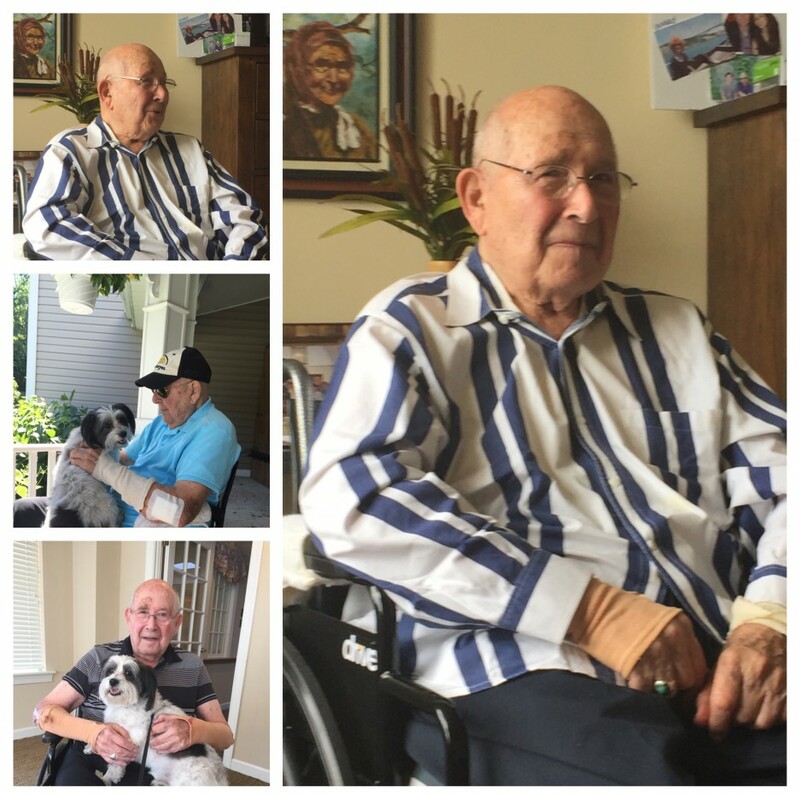 After moving my dad back into Sunrise of Paoli around Thanksgiving, it was a great deal of work getting him back into a groove…to a sense of normalcy after spending two months in skilled nursing, in two different rehab facilities. Honestly, I wonder sometimes if he has any clue where “home” really is. After about 3 months at Sunrise, with no further broken bones, I made the decision to move my dad to a facility down the road from Sunrise, called Daylesford Crossing. This is where I had wanted him to move initially, but because he was out in Iowa and couldn’t be evaluated in person….and because he was coming off of an pelvic fracture, he was a “two person assist,” meaning he needed two people to help him with just about everything. They rejected him. The one positive thing to come out of his time at Sunrise was he had a chance to fully heal following his pelvic, then hip fracture. He is actually more ambulatory now than he was when he moved in back in August. I took a chance and re-applied to Daylesford Crossing….and he was accepted! When I toured Daylesford Crossing (particularly now that I had the experience of knowing what assisted living in a memory care unit really was like), the difference was palpable. The vibe was calmer, quieter. The staff was infinitely better trained. They had a multitude of ongoing activities for the residents, both in the memory unit itself and within the building (which the residents from the memory unit participated along with everyone else). The atmosphere was vibrant, alive, filled with people having fun. It smelled nice. I know that’s a silly thing to mention, but Sunrise always smelled a bit like urine. I attributed it to the fact that there were 26 residents, all wearing depends. You should know, however, that it doesn’t have to smell. If it smells, it’s because the staff isn’t doing their job. The move went smoothly and my dad transitioned to his new home with very little issues. It is a great relief, for me, to have him living in a place where I can reliably expect the staff to take care of him. I never had the confidence that that was the case at Sunrise. The internal communication was abysmal. At Daylesford, they use the latest technology throughout the building, using iPhones for all staff, so people are easy to reach and messages get shared easily. You have no idea what a difference that makes to my confidence level. At Sunrise, I would make a request to one person and they never shared that request with anyone else! There are three shifts of staff! I ended up doing most of the work which they should have been doing…Making sure he had fresh batteries in his hearing aids, that he was wearing them daily, that he had a handkerchief in his pocket, that he got up to exercise daily…these sorts of things. I wasn’t asking for the moon, but it seemed to feel like I was. How is the internal communication? Exactly how does it happen? Do they use pagers? iPhones? Can you text someone? How often is email checked? What are their systems really like? Is the facility run well? Do they review care plans regularly and adjust? My dad NEVER had his care plan reviewed despite his improving condition. If your loved one is in memory care, how much overlap do the residents have with folks who do not have dementia? It is important that they feel they are a part of a larger community for entertainment, parties, etc. At Sunrise, it seemed as if the two units operated independently from one another. As a result, my dad was isolated even further. Look at the other residents who live in the memory unit. Are they at a similar stage of dementia as your loved one? DO NOT place your loved one in a community where they are the least impaired. They will quickly sink to the level of who is around them. Look for a community where they will have people who are at a similar stage of the disease. Look at the percentage of women vs. men. In many of these communities the population leans towards female. Not an issue on the surface, but it becomes an issue when most of the activities revolve around doing one’s hair and nails and crafts. My dad was never interested. Make sure there are activities that your loved one might enjoy. Also – make sure that the activities are MODIFIED for those who have dementia. If you see the list of activities and they include crossword puzzles, bingo and more traditional games you might find in senior living centers, just know that these are not going to work with someone with dementia. They have to be MODIFIED. This requires that the staff have REAL training in dementia. At Daylesford, all staff are trained in the methods of Teepa Snow, a well-respected dementia expert. Who does the staff training? What kind of training is it? Dig under the covers a bit. Look at the size of the bathroom. Look at the shower. Is there a lip on the shower that requires someone to step over? Better to not have that. It can become an issues as they decline. The size of the bathroom is critical for someone who uses a walker or wheelchair. My dad’s bathroom at Sunrise was so small that it was a real chore getting him in position to sit on the toilet because there was never enough room for the walker. Come several times to visit, at different times of the day. Are the staff interacting with the residents or talking amongst themselves. This was a real issue at Sunrise. Most of the time, staff was sitting around a big table chatting with other staff, while the residents watched TV, which, as it turned out, was the main activity in the memory unit at Sunrise. Even though they posted other activities, often those activities were never done. If you see a place with the TV on all the time, that is not a good sign. Do they have lots of music? Music is something that can be enjoyed by everyone, even those in the latter stages of dementia. If you notice people are spending a lot of time in their rooms alone, this is not a good sign. People with dementia cannot safely be left in their room alone for long periods. They no longer understand what is safe and what is not. Often they can be quite impulsive, in fact. Find out if there is a dedicated med-tech for the memory unit. This is important as you want it to be easy to find this person if your loved one’s medicine is late in arriving. Because one of my dad’s medicines needed to be given on time, I spent many hours wandering through the floors of Sunrise looking for the med-tech and because they did not have technology to reach the staff quickly, I was often given this response when I asked where the med-tech was: “Oh…she just went downstairs, I think.” It was then up to me to find her to haul her back to give my dad his medicine, which I was paying them to do. I hope this helps you as you evaluate facilities and that you can learn from my mistakes. I am so happy that I found a facility that is well-run, my dad seems happy and most of all, I believe he is finally being well cared for. If you have any questions for me about what to look for or if you are worried about what you are seeing, please feel free to post in the comment section. I am happy to help guide you, if I can. 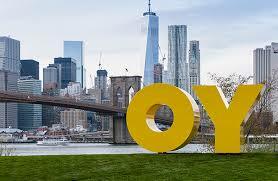 Oy is right. Those 100 days of skilled nursing may be a mirage thanks to new Medicare Initiative. During this journey, I have felt as if I keep tripping over new information – critical information that families should be made aware of, but instead I find out the info by accident. Apparently just a couple of months ago – a.k.a. before my dad fell and broke his hip but AFTER he fell and fractured his pelvis – Medicare expanded a new initiative they had started a couple of years ago. This year, the expansion INCLUDED orthopedic practices and specifically hip and knee replacements. The way it USED to work is when you fell and had to have hip replacement surgery, you would receive up to 100 days of skilled care, as long as you were making progress in therapy (and also assuming you had been out of the system for 60 full days – see prior blog post). Now, with this new initiative, Medicare has decided in advance roughly how long it should take to rehab a person who has hip or knee replacement surgery. Medicare takes the time they think it takes a 90-year-old and the time it takes a 50-year-old and then averages the period into something in the middle. They do not take into consideration any co-morbid conditions, which most 90-year-olds have, nor do they consider the additional complication of Dementia. So, for the purposes of this explanation, let’s assume Medicare says it should take a person 20 days of rehab to recover from hip surgery….if the nursing home disagrees, and keeps a patient on for longer, then the Orthopaedic practice gets less money. Next time they have a patient to send, perhaps they won’t choose that nursing home. The nursing home, which was trying to do the right thing now goes out of business. Furthermore, this is a system that ultimately does not benefit the patient. And the real victim, of course, is the patient: my dad. If they discharge him before he is ready, he will be back into the system sooner than later. When you take care of the elderly, it is 100% on-the-job-training. There is no manual. And what you encounter…well, you just can’t make this stuff up. A little background first…my dad has Parkinson’s Disease. He had been treated with the standard Parkinson’s meds for years but this past summer, after his first fall and fracture, we took him off this medication as we thought it may have been the cause of his fast onset of dementia-like symptoms. At the time, we were operating as if he had fallen into a state of temporary delirium, something that is quite common with the elderly after the trauma he had experienced with this fracture and subsequent hospital stay. The symptoms didn’t go away, however, but his Parkinson’s symptoms came back with a very loud roar, so last week, we re-started the Parkinson’s medication. With Sinemet, the gold standard in Parkinson’s meds, a patient takes a dose throughout the day. As the medication wears off, the symptoms return. Therefore, when you are incorporating rehab into your day, you’ll want to time your session shortly after another dose of the medication is taken. Not rocket science, yes? I found out, quite by accident, that the therapy folks were not coordinating the timing of their sessions with my dad with the nursing staff, who were giving him his medication. And finally, it is, I believe, impossible to take care of your mom or dad from afar. I did this for about 10 years before I finally put my foot down and moved him across the country to be near me. You cannot possibly manage someone’s care properly unless you see them frequently, attend doctor’s appointments with them etc. I also believe that after the age of 75, it becomes nearly impossible for a person to consider moving. 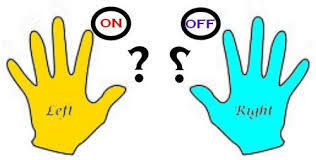 They begin to operate their lives using visual cues more and taking them out of their familiar environment can really throw them cognitively. We are all living longer and eventually, we will all be dealing with this period in our lives. My advice…and one I plan to follow…is to move near your kids (or whomever you have designated to be your healthcare proxy) before the age of 75. That way, you get to enjoy being near them before you become so needy. I have lived here for over 50 years; my friends are all here; I’d be a burden. The usual statements you are likely to hear. If you live long enough, as my dad has, many of his friends will pre-decease him. If you move when you are still young enough, you’ll have the opportunity to make new friends. If you wait too long, and you develop dementia, or Alzheimer’s, you won’t be making friends as you will be too compromised to do so. The burden story? We all become a burden to our kids at some point. It’s part of the circle of life. It would have been SO MUCH BETTER to have had my dad living near me for at least 5 years prior to his slide into dementia. Taking care of him without the benefit of those happy memories to draw upon – well, that’s where it feels like a burden.